You are enjoying a great night in your favorite venue. Concert Hall, restaurant, bar or even night club. 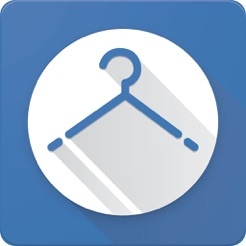 You left your coat at the coat check, but you just figured out that you had lost your ticket. Don't let this happen any more! 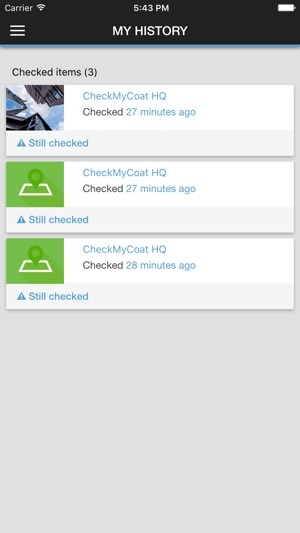 Thanks to the CheckMyCoat app, your coat is safe! 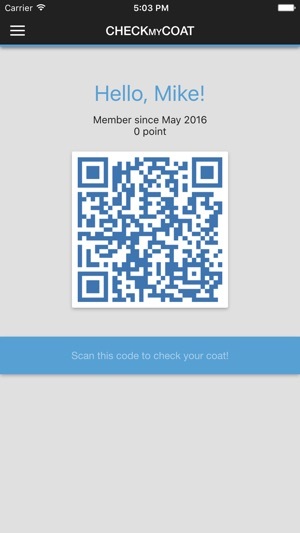 - Scan your unique QR code on your phone to check your coat. No more lines! 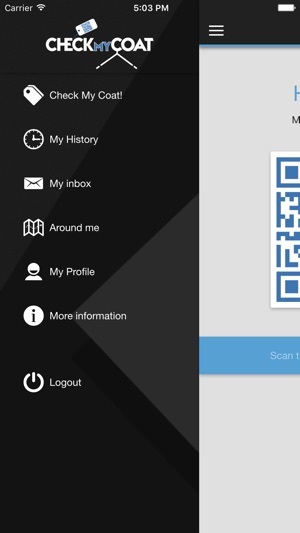 - Scan your code again and get your coat back in a few seconds! No more thefts! 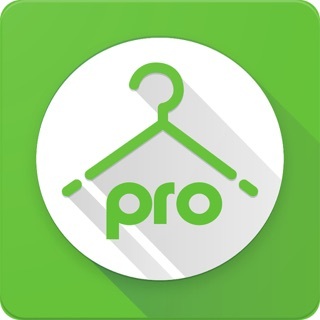 - Track your items through your history. 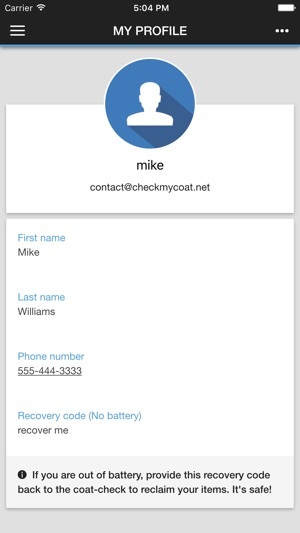 - Secured coat reclaim even if you are out of battery! 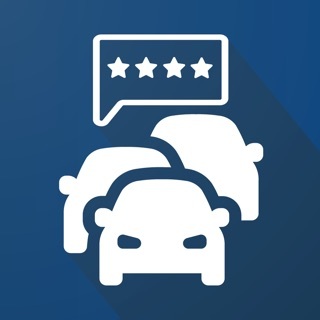 - Service rating: rate the venues you have been in! 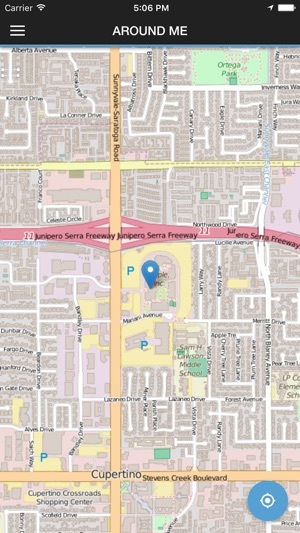 - Alerts and newsletters about your favorite places!